What Is The Biggest Casino in Burundi? - Casino Answers! Casino Answers » Casino Trivia » What Is The Biggest Casino in Burundi? What Is The Biggest Casino in Burundi? Burundi is located in the south-east corner of Africa, bordered by the countries of Rwanda, Tanzania and the Democratic Republic of Congo, is not somewhere you are likely going to find yourself unless you live there, or have to visit for business. It is not a traditional tourist destination, thanks mostly to the turmoil the country has gone through since its independence from Belgium. After gaining independence from Belgium in 1962, Burundi has gone through two periods of genocide in 1972 and 1993, which put the country’s growth on hold and put its economy into free-fall. However, after the intervention of the United Nations, Burundi has started back on the path to stability. However, thanks to its landlocked position in Africa, the country has no real agricultural resources for use to bolster the economy in a way that other African countries have done. So Burundi is essentially one of the poorest countries in the world, and is really more of a humanitarian destination than a tourist destination. As you would expect from such a poor country, there is little to no gambling in the country. I mean, if no-one has any money to gamble with, a casino is surely a white elephant. But that has not stopped one company trying to create a gambling industry in Burundi. In fact, Lydia Ludic is a large operator throughout Africa and also into South America, that has created gambling halls and casinos in regions that many operators would not have considered. Along with this, the company are large-scale investors in their chosen countries, and do a lot of charitable work in terms of education to help the people in the countries they invest in. This is perhaps most needed in Burundi, where Lydia Ludic has invested a lot of money and time, and is trying to create a gambling industry, even if it is a relatively modest one in comparison to its other investments. The inside of the casino is what you would expect from a casino in poorest Africa. Is is essentially a large building with some gaming machines inside. That’s not a bad thing, of course, as anything else would look somewhat out of place in area. You are not going to have a large resort with lots of side attractions, you are going to get some slot machines where the more affluent citizens of the country can while away some time. 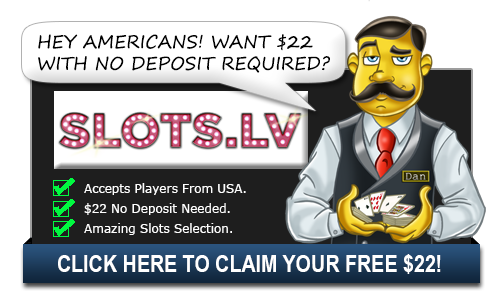 In fact, the slots on offer are low value machines, so there is no progressive jackpots, and no vast fortunes to be won. Lydia Ludic owns the biggest casino in Burundi, which is the Lydia Ludic Burundi (perhaps not the most adventurous of names) and is essentially an electronic gaming facility with around a dozen slot machines for users to play at. You can find the casino in the city of Bujumbura, which is the capital city of Burundi, on 131-133 Chaussée P.L.Rwagasore, which puts it in the heart of the city’s most vibrant and successful areas, and only 12km from the country’s airport. There are various hotels placed around Chaussée P.L.Rwagasore, as well as a few cafés, with the boutique Café Gourmand on Avenue de France being a highlight of the district – bringing a touch of continental Europe to the heart of Burundi, which also harks back to its time as a Belgian colony. The idea behind the positioning is that it will entice those with disposable income, as well as visitors to the area, to come and enjoy themselves playing slots, and the company then hope to reinvest some of the profits into the community. It is a kind of social anthropology which is uncommon with multinational companies, but it is really the only way a casino operator could operate in such a poor country as Burundi. While the ethics of operating a casino in an impoverished country as up for question, the Lydia Ludic Casino in Burundi is here for the foreseeable future, and hopefully the investments that the company make in the community start to pay off. The jobs that the casino provides to locals is definitely a step in the right direction, and if the casino can expand then it is no doubt a benefit for the local economy.